By Dr Jacopo Martire, Lecturer in Law (University of Bristol Law School). Although it can be rightly said that Michel Foucault is one of the most influential scholars of the 20th (and dare we say it? 21st) century, it is also easy to affirm that his ideas have always elicited a certain degree of scepticism. A degree of scepticism would be a suave euphemism to describe the reaction that Foucault’s ideas on power, subjectivity, and truth have caused in the legal field. 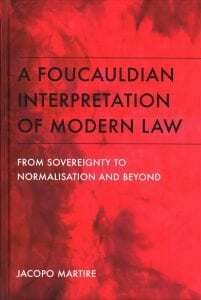 Scholars as diverse as Jürgen Habermas, Duncan Kennedy, and Nicos Poulantzas (to name a few) have accused Foucault of excessively downplaying the role of law in modernity and of culpably disregarding the function of rights in protecting individuals against external interferences – either public or private. This line of reasoning found its most elaborate champions in Alan Hunt and Gary Wickham who, in “Foucault and law” (Pluto Press, 1994), advanced the so-called “expulsion thesis”: Foucault was guilty of having expelled law from the locus of power, depicting the legal discourse as a sort of veneer for real power with no substantive importance in modern societies. 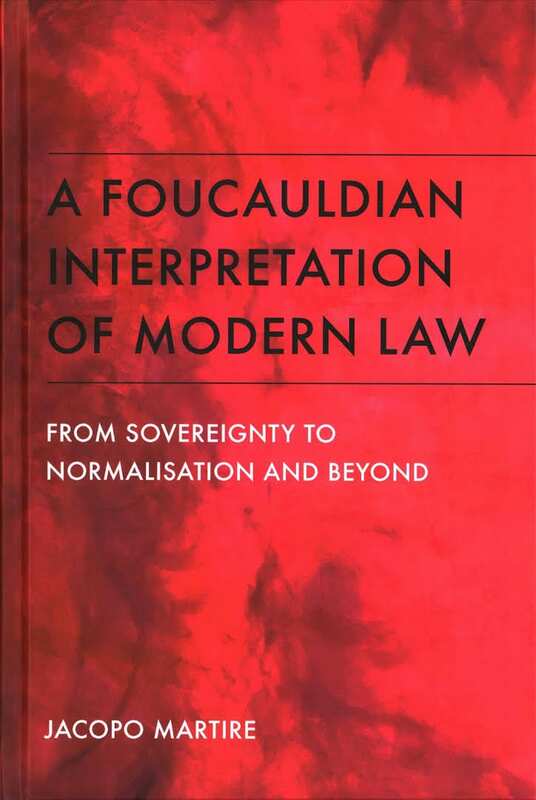 It must be said that, notwithstanding such trenchant critiques, Foucault’s thought has continued to have a huge effect in many legal areas – from criminal law, to labour law, to international law and beyond. It must also be recognised, however, that the trope of the “expulsion thesis” has survived for almost two decades basically unchallenged (at least in the Anglo-Saxon academia), thus gnawing at the foundations of any Foucauldian-inspired reading of the legal field.